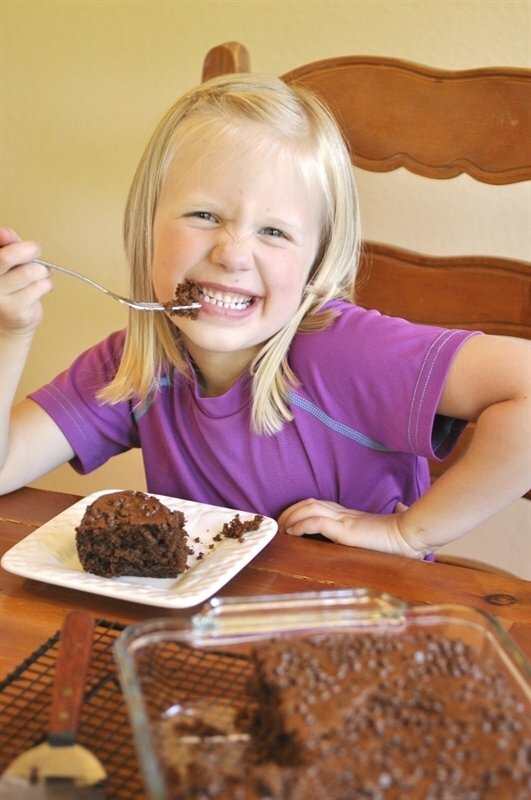 Chocolate Snack Cake is a fun treat for the kids to make all by themselves. 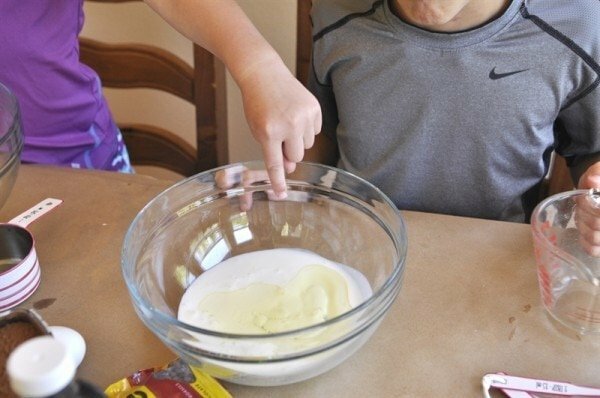 Step by step instructions on how Kids Can Cook! 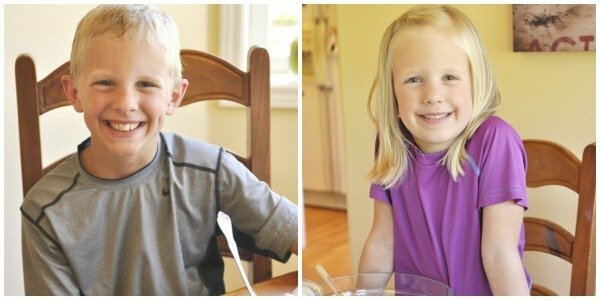 Today we’ve got our second installment of Kids Can Cook. 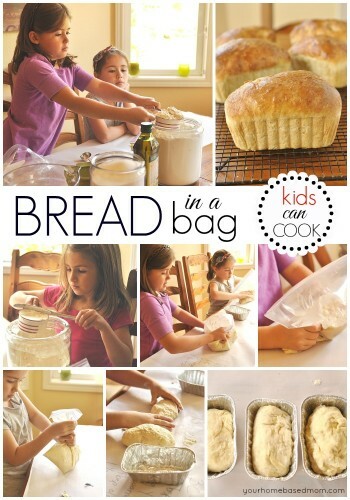 If you missed the first one be sure and check out Bread in a Bag! 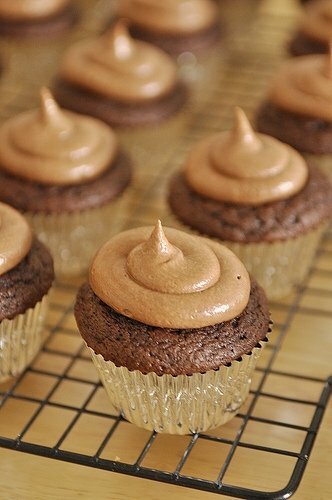 Chocolate Snack Cake is the perfect solution to summer boredom or hunger! 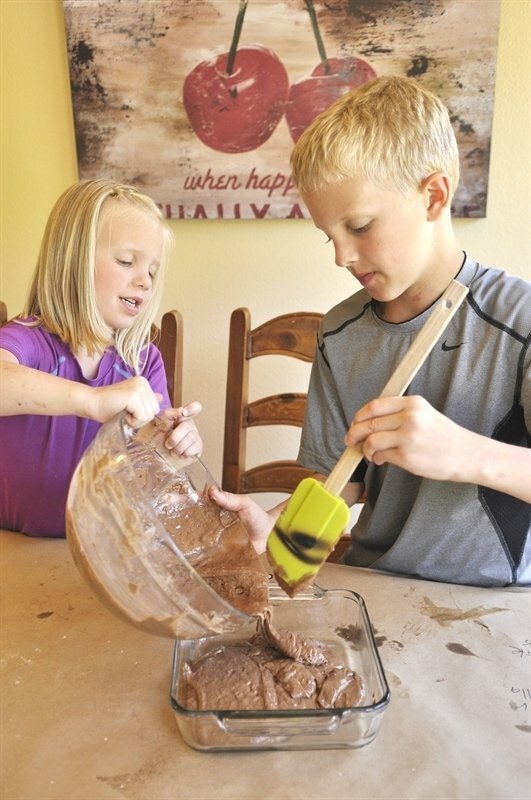 When the kids say they are bored – put them to work in the kitchen. 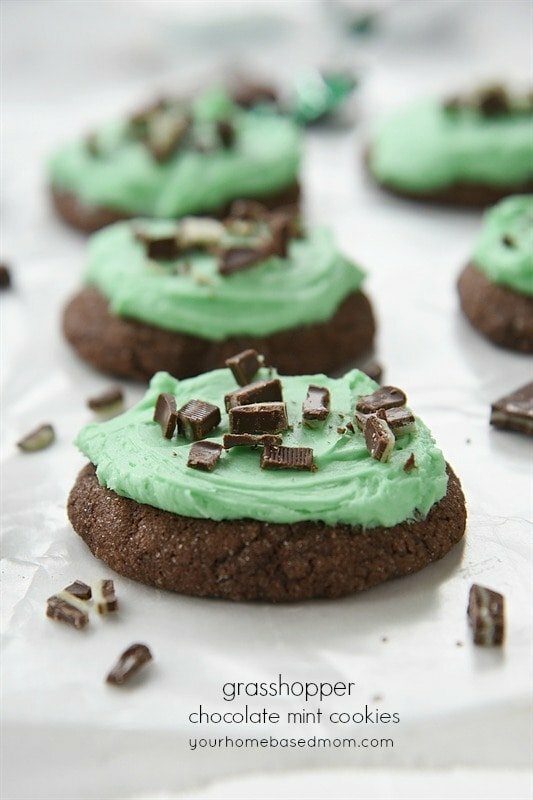 Let the kids make their own treat. 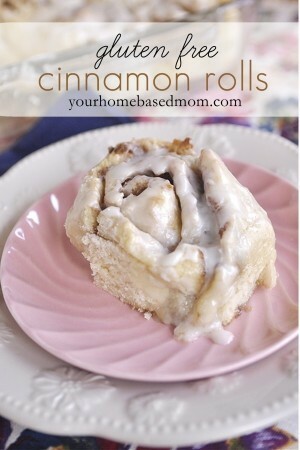 It is a great after school snack too and will keep the kids busy. They will also learn a few things along the way. 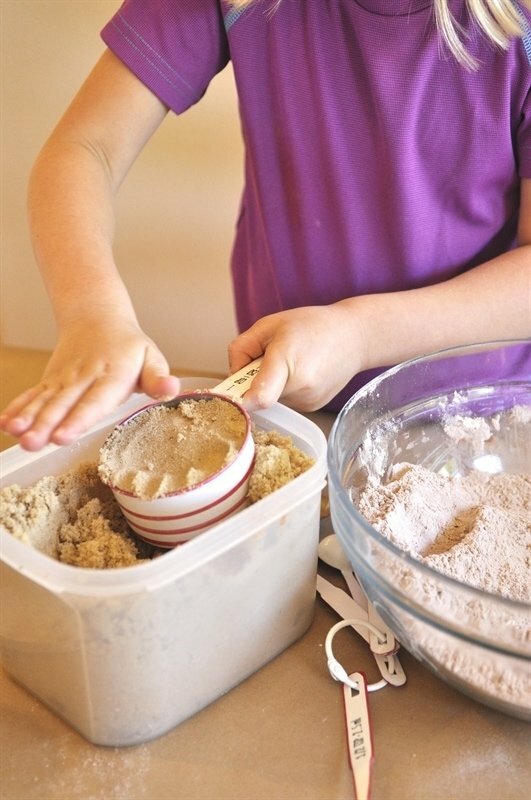 Tip One: One of the things I like to do when cooking with kids is get all the ingredients out on the counter or table. I also cover the table with paper to make clean up a bit easy. 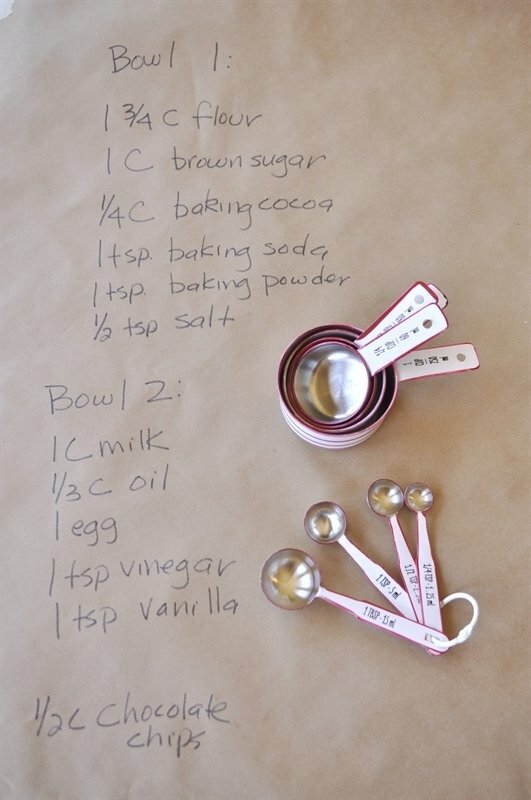 Tip Two: I also write the recipe on the paper that I have covered the table with. You can even have the kids check off the ingredients as they add them so they don’t forget anything. My two helpers for the day were Thomas and Brooke. I am lucky to have friends who let me borrow their kids for part of the day! 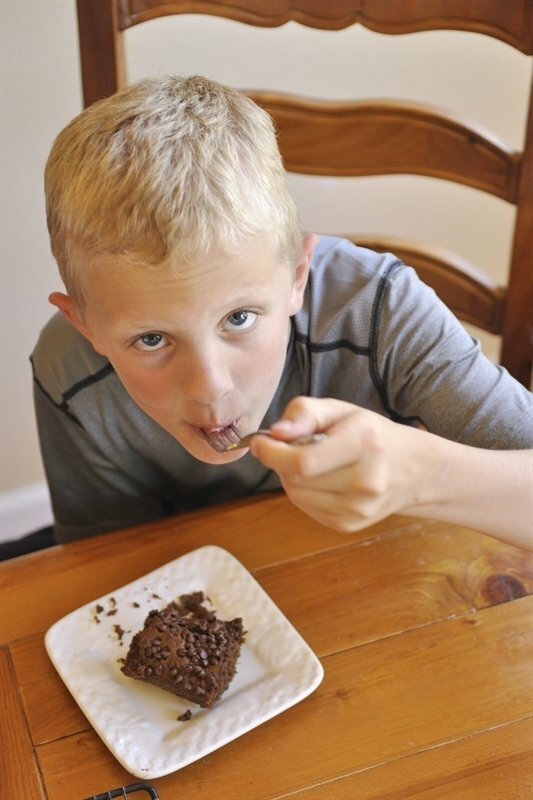 Tip Three: Chocolate Snack Cake is the perfect thing to teach the kids the difference between measuring liquid ingredients and dry ingredients. We measured all the wet ingredients into one bowl first. 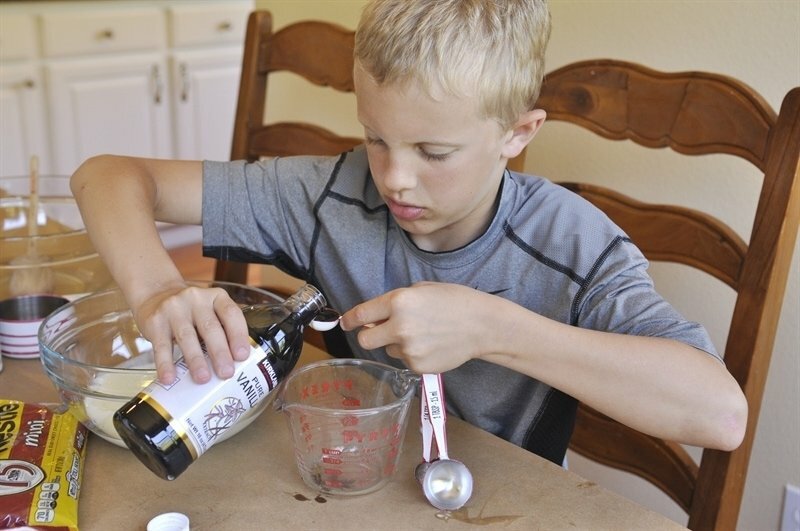 Using a glass measuring cup for wet ingredients works the best for me. Make sure they keep the cup on the table so the liquid level is even. We used metal measuring cups for the dry ingredients. 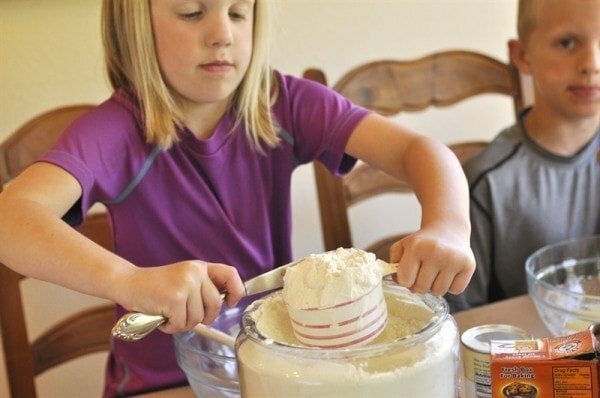 Tip Four: When they are measuring with a teaspoon or such I always have them measure over an empty bowl or cup so that if they overflow it doesn’t go into the bowl with all the ingredients. 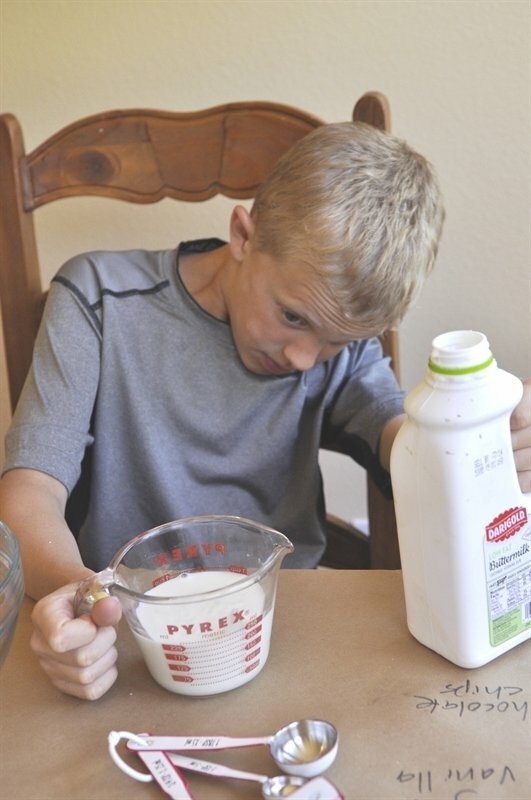 They loved how it looked when they added the oil into the milk. The perfect time for a little science lesson on how oil and water don’t mix! 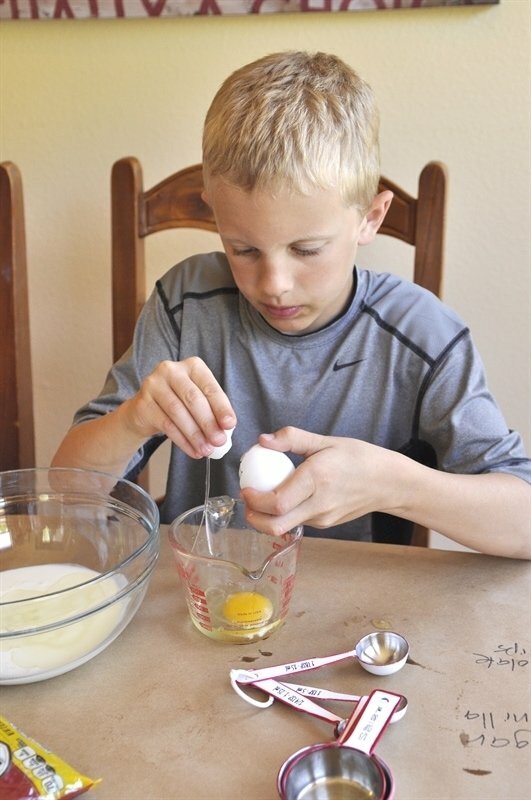 Tip Five: I prefer to crack my eggs on the counter instead of the edge of a bowl. I find that the edge of a bowl can push some of the shell up into the egg white. And then you end up with egg shell in your egg! I had them break the egg into a measuring cup in case they got any shell in with the egg, we could remove it easily. Brooke got to measure all the dry ingredients and we talked about scooping and leveling with a knife like when we made Bread in a Bag. 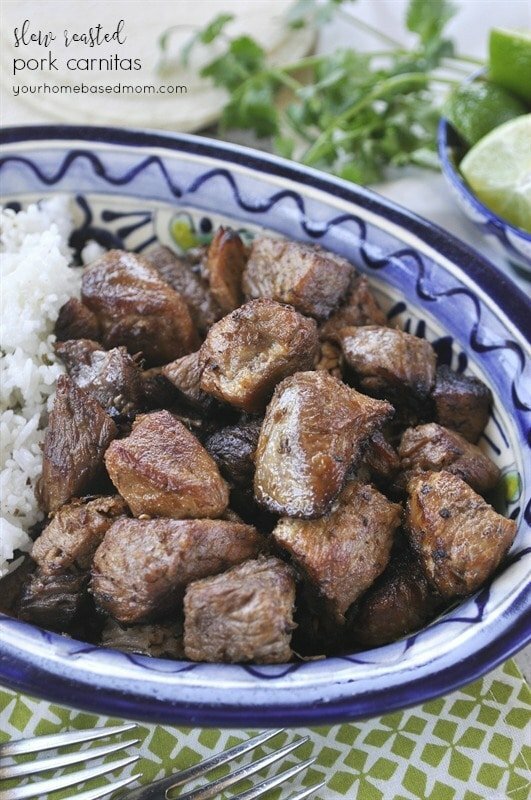 Good thing we had all the ingredients written down on the table because we almost forgot to add the brown sugar! Here we had a lesson in how to pack the brown sugar into the measuring cup. Then they used some team work and poured the liquid into the dry. They took turns stirring to get it all mixed together and then put it into the greased 8 x 8 cake pan. 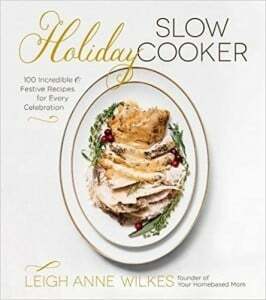 Then the hard part – waiting while it baked at 350 degrees for about 30 minutes. 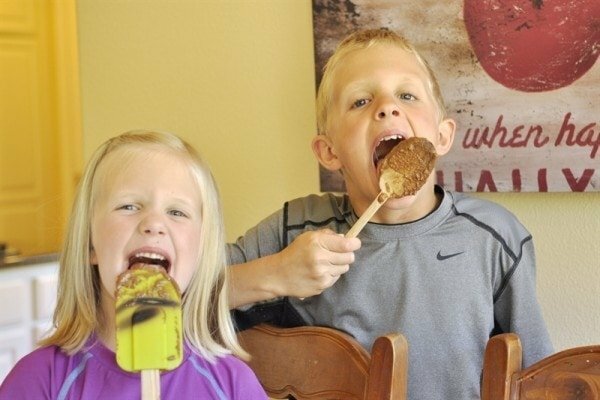 But they kept busy with licking the spoon and spatula! Let the cake cool for a bit and then dig in! It got two thumbs up from both Brooke and Thomas! 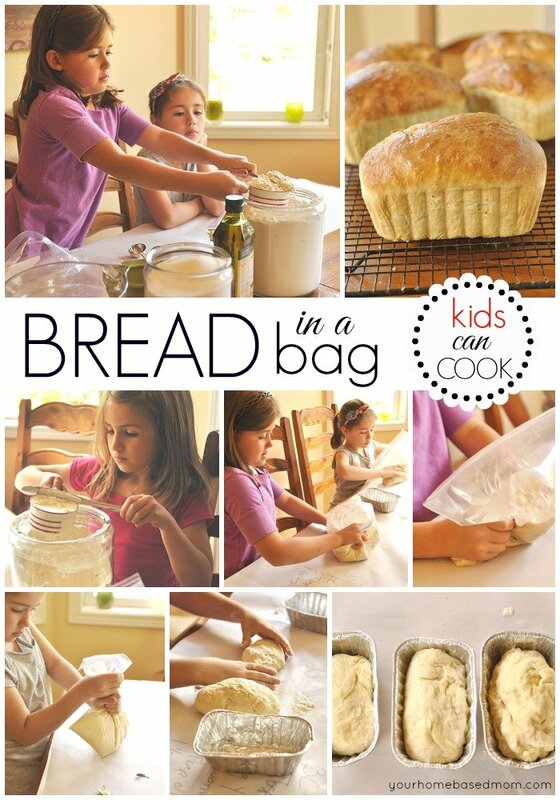 For more Kids Can Cook check out Bread in a Bag. 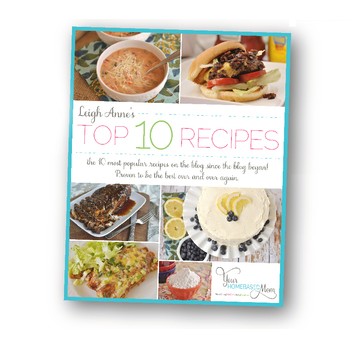 Check out my friend Mique’s Kids Cooking Camp ideas too! 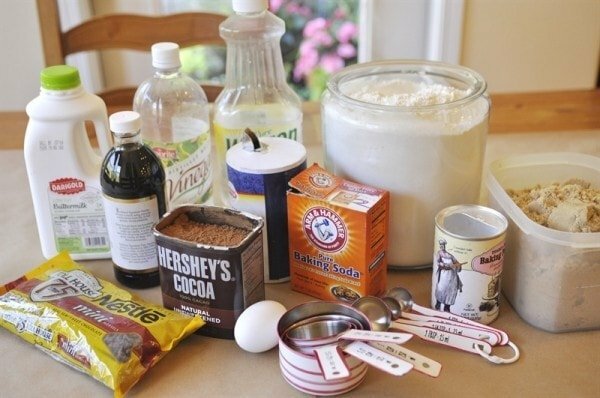 In another bowl mix together the milk, oil, egg, vinegar and vanilla. I love this Leigh Anne! Especially love that you had two little helpers 🙂 Pinned! 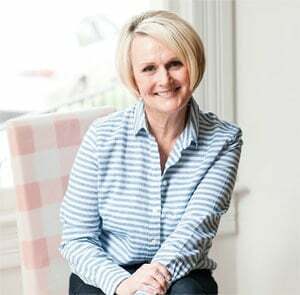 Trish – it was so fun spending the afternoon with those two cuties! 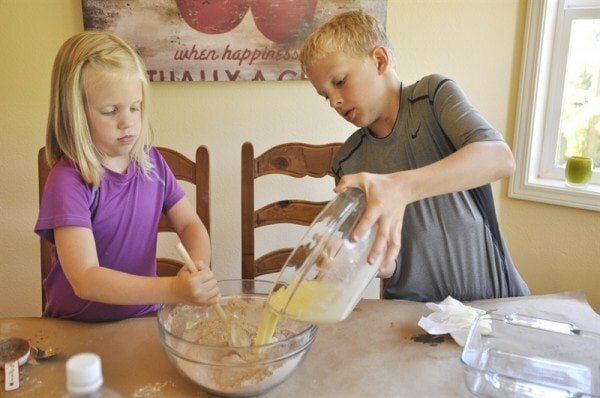 I love to be in the kitchen with kids! 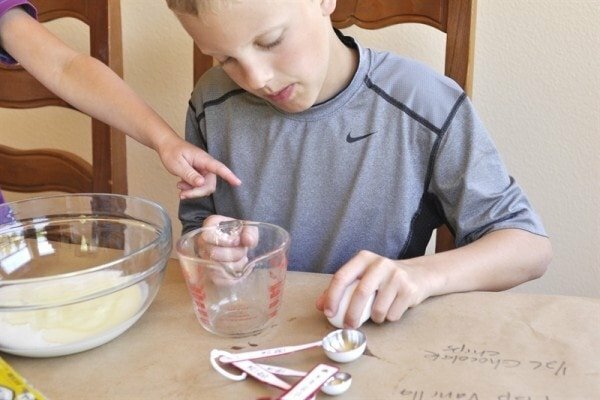 Nice easy recipe and the kids are so cute. Thanks Leigh Anne. Thanks Liz – aren’t they cuties!! 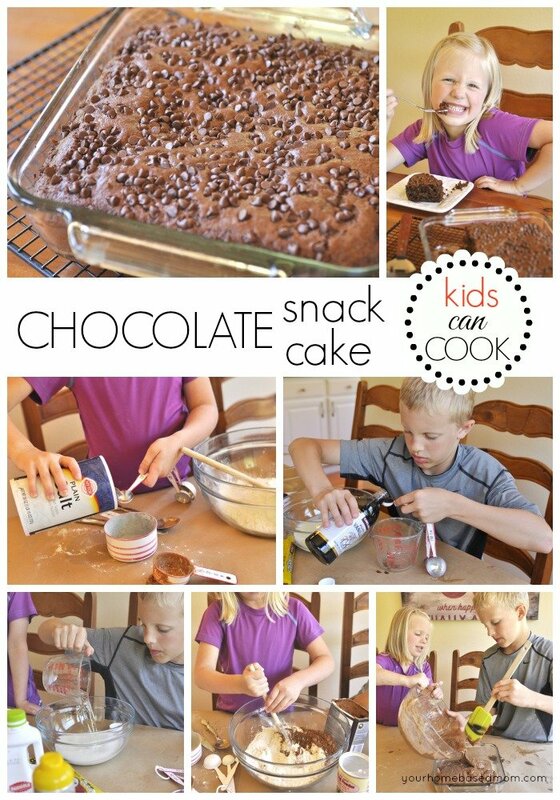 These are great tips for cooking with kids and the snack cake looks delicious! BTW, we love your almond torte over here. In fact, my mom asked what dessert I wanted for my birthday dinner and I told her I wanted my favorite…the almond torte! 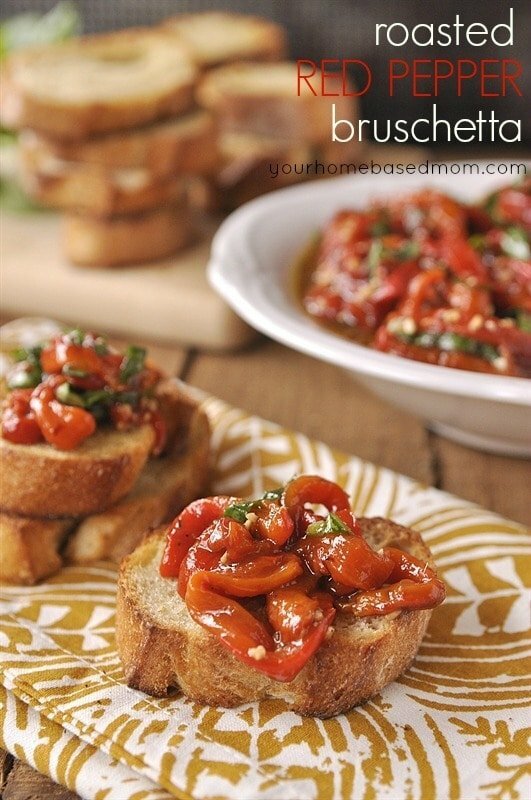 Thanks so much for always sharing such yummy recipes! I really enjoy following your blog and IG. 🙂 Have a safe and fun 4th! Lisa, So glad you love the almond torte. It is one of my favorites too! Enjoy your holiday!! It’s bit difficult to get buttermilk here. What can I replaced it with?